If you have 5-10 minutes I suggest reading the full article, there some good nuggets and pearls in here that almost everyone can benefit from. And who knows, you’ll probably learn something that will help with the clean as well! In September 2009, the CrossFit Journal published my article “More Pop at the Top,” which described how to do high pulls, shrugs, isometric contractions and throws to improve the numbers on any type of pulling movement. In this piece, I’ll describe a somewhat different approach to a very basic exercise and explain how to do a few others that are rather unique. Having a strong finish is critical to moving heavy weights in the full clean. Without a powerful finish, the lifter does not have adequate time to move under the bar and rack it securely, no matter how quick he might be. Plus, the velocity of the bar must be increasing at the top of the pull. I’ve watched many a lifter pull a weight almost up to the neck yet fail to rack it because it had come to a standstill. Then there is the factor of timing. In order to make a personal record in the clean, the lifter must pull the weight high enough with an explosive punch at the finish, and he must also know exactly when to move under the bar. A nanosecond too soon or too late and the lift is lost. I’ve included a couple of exercises that not only enhance the top pull but also greatly improve timing. I’m going to begin with the power clean, an exercise familiar to every CrossFit athlete or anyone using the Big Three (bench press, squat and power clean) from my book “The Strongest Shall Survive.” Power cleans will help the athlete learn the correct line of action when pulling a bar from the floor to his shoulders, and they will also help him strengthen all the muscles and attachments involved in the lift. Nearly every coach I know who is training an athlete to be an Olympic lifter teaches him to skip his feet to the side at the finish of the power clean. The coaches think doing so will help the athletes learn to drive down into the bottom position faster in order to rack the clean. I take a different approach. I want my aspiring Olympic lifters to do power cleans without moving their feet at the finish. Bear with me. I want the lifters to keep their feet planted firmly when power cleaning because this forces them to pull harder at the top. 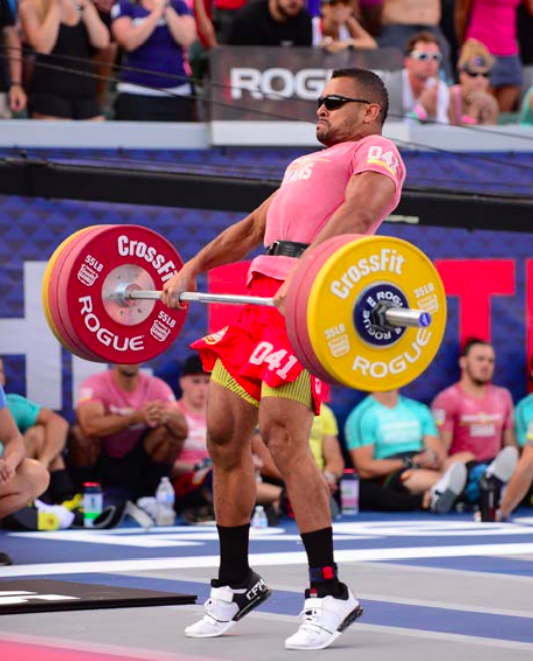 Whenever an athlete’s feet leave the floor, he no longer has a base from which to pull the bar higher. He depends completely on momentum generated before his feet left the floor. All the Olympic lifters from the ’40s, ’50s and ’60s power-cleaned without moving their feet. They were doing power cleans mostly for their presses, and by planting their feet, they were able to rack the weight and get set for the press instantly. If they moved their feet, which happened sometimes because their pull was off line or wasn’t quite strong enough, they had to take valuable time resetting their feet on a line before pressing the weight. That extra move usually ended up causing the lift to be a failure. I learned the Olympic lifts by looking at photos in magazines and did power cleans for my overhead presses. If my feet moved at all, it had a very adverse effect on my press. And when I began learning how to do full cleans, I had no problem moving to the bottom position quickly. At the Dallas Y where I trained while I was going through Southern Methodist University in Texas, Sid Henry was in charge of coaching the Olympic lifters, and he had a rule that if a lifter moved his feet even a tiny bit, that power clean didn’t count and he had to do the set again. He was extra strict if the lifter was trying to set a gym record. It’s my contention that having an athlete skip his feet to the side when he’s power cleaning does not help him move faster to the bottom when he’s doing a full clean. They’re two different lifts. What skipping the feet does is prevent him from leaning into the climbing weight nearly as much as if he had planted his feet, and that extra 1 or 2 inches of height can be the difference between success and failure. © 2016 - Wasatch CrossFit. All rights reserved.